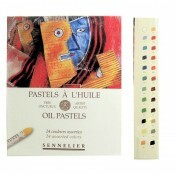 Sennelier Oil Pastels 12 assorted introductory colours. Apply colours directly or mix colours and blend with a rag or even your finger. 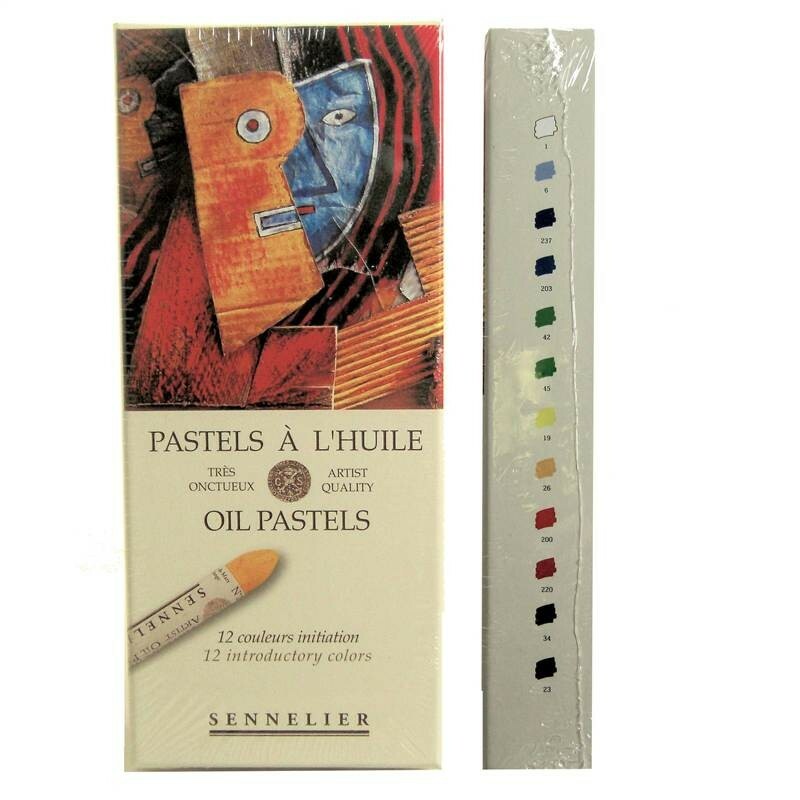 Dilute colours with mineral spirits or turpentine and blend them with a brush. If appropriate, seal the paper first with gesso. 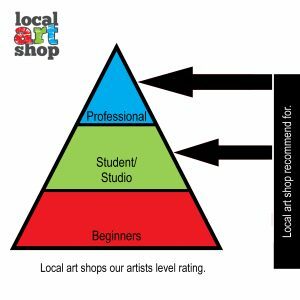 Mixed media application over watercolour, oil or acrylic paint. Colours may be sculpted with a pre-heated palette knife. After heating, adhere and inlay pigments, sand, sawdust, wood, paper, glass or metal into the moist colour. 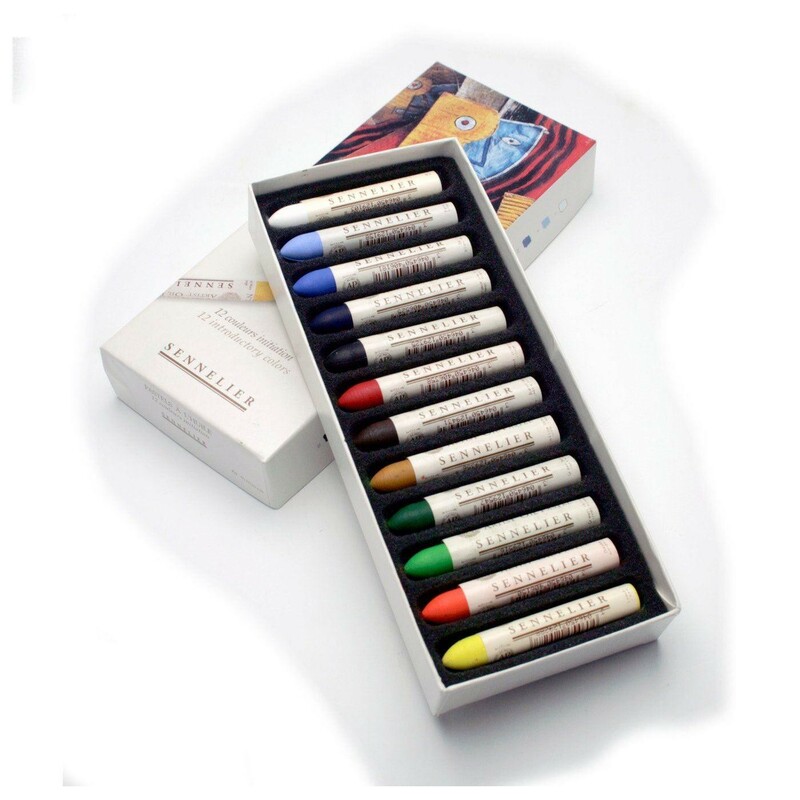 Unlike oil sticks, oil pastels do not ever completely dry and remain heat sensitive because they are made using a unique blend of natural waxes. 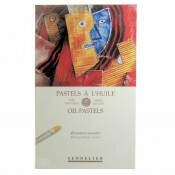 Therefore, it is recommended that oil pastels are sealed with oil pastel fixative.